Sleepy morning around these parts. One of our kitties slept in our room last night. She was pretty good, for the most part — at least when she wasn’t burrowing beneath the covers or curling up on my hair. She’s a very lovey cat though, so it’s hard to say no to her. 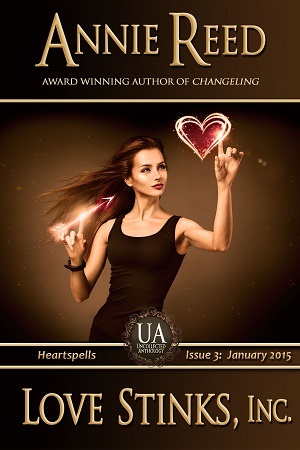 In honor of the upcoming holiday devoted to love — Valentine’s Day — this week’s story features the God of Love himself: Cupid, or at he prefers to be called — Eros. 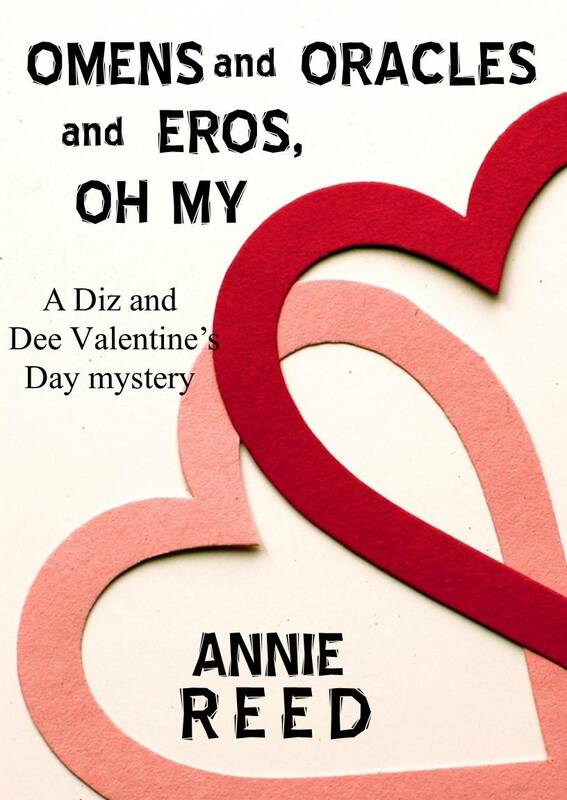 “Omens and Oracles and Eros, Oh My” is one of my Diz and Dee mysteries. Enjoy! It’s not every day a Greek god walks through a girl’s front door. My partner and I run a detective agency out of an old storefront half a mile from the ferry landing on the mainland side of Moretown Bay. The neighborhood is rundown urban with a touch of whimsical eclectic. The shop next door sells everything Asian, from manga to anime to imported CD soundtracks side by side with things like shrimp chips and lichee jellies. The masseuse across the street has her front door decorated with purple glitter and glow in the dark stars. Every time one of her customers opens that door, enough aromatherapy candle smoke escapes to engulf the neighborhood in a cloud of calm. Or passion. I’m pretty sure on those days she provides more than a simple massage. I don’t intend to find out. She seems like a nice enough woman, but I’m not that starved for affection. Not yet. I didn’t recognize the guy who walked in my office like he owned the place, not right away, anyway. Who’d have thought you’d find a god wandering around a neighborhood like this? The sidewalk in front of our office looks like concrete accordion pleats, and I’m pretty sure a family of four is living in the panel van permanently parked at the back of the municipal lot at the end of the block. Plus, the guy wasn’t dressed in a diaper and carting a bow and arrows. Even a detective needs at least a couple clues. “You find lost people?” he asked, his tone more than a little upper crust. “We do.” I resisted the urge to look at the plate glass window at the front of the office. The name on that window was D & D Investigations, and underneath: Missing Persons Are Our Specialty. I’m Dee, one half of D & D. Diz, short for Dizzy G, is the other half. Diz is an elf. I’m not. I get along with most people. He glowers. He’s also built like The Rock, and that makes him more than a little intimidating. Which is why I’m the one who meets with potential clients. If I let Diz do the meet and greet, we’d both be begging the police department for our old jobs back. “I need you to find someone,” the guy said.